3 Bedroom Detached Bungalow For Sale in Penryn for Asking Price £329,000. 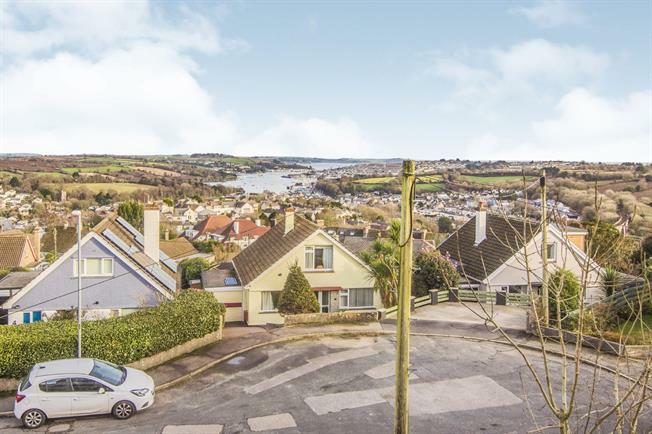 Situated in an enviable and elevated position taking advantage of the stunning views towards the Penryn river and countryside beyond. This substantial detached chalet style bungalow offers spacious accommodation over two floors and stands on a generous plot. With off road parking for multiple vehicles and a large single garage/workshop, this property is incredibly deceptive and conveniently situated. Steps to entrance porch, with double glazed doors and windows, tiled flooring and front door to inner hallway. UPVC double glazed door and window to side aspect, generous entrance hallway with stairs rising to first floor landing, radiator, under stair storage area, doors to kitchen, living room and dining room/bedroom. A generous room that enjoys some amazing panoramic views over the countryside and down towards the Penryn River, this double aspect room has two double glazed windows to the front and side aspect, radiator, feature fireplace with a multi fuel stove and attractive wooden surround, dado rail. Another generous room being double aspect with windows to side and rear aspect, a range of base units with roll top work surface above, stainless steel sink with mixer tap, freestanding five ring Belling stove with a Russell Hobs stainless steel extractor fan above, breakfast bar, generous built in pantry with shelving, radiator and wall mounted boiler. 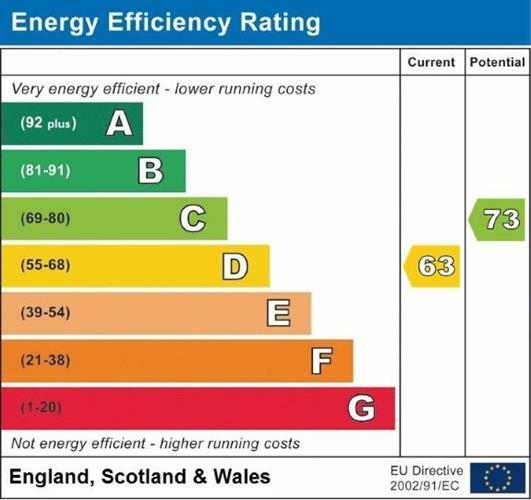 Double glazed uPVC window facing the front aspect taking in the stunning views, radiator. UPVC double glazed door to rear garden, double glazed uPVC window facing the rear aspect, space and plumbing for washing machine, tumble dryer, fridge/freezer. Two double glazed uPVC windows with obscure glass facing the rear aspect, heated towel rail, tiled flooring, built-in storage cupboard, low level WC, panelled bath with mixer tap and an electric wall mounted shower over the bath, built in vanity unit with mixer tap. Double aspect room with double glazed uPVC dormer style windows facing the front and sides aspect taking in the outstanding panoramic views, radiator and built-in storage cupboard. Double aspect room with double glazed uPVC dormer style windows facing the front and sides aspect taking in the outstanding panoramic views, radiator, built-in storage cupboard. Double glazed uPVC window with obscure glass facing the rear aspect, low level WC, single enclosure shower, vanity unit. To the front of the property is good driveway parking for a number of vehicles which in turn leads to the garage/workshop with up and over door and a separate rear side door. Front gardens are terraced with a seating area and side access to rear gardens. Rear gardens are private, enclosed and generous with areas to sit out and entertain, garden shed, pathway and rear access to the garage.